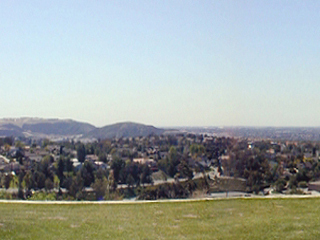 Rancho Penasquitos borders the Los Peñasquitos Canyon Preserve on the West Side of I-15. A family-oriented bedroom community, the two largest population groups are ages 6-17 and 35-44. The Western edge of the community is growing with new home construction. Homes in the older section are typical late 1960s and early 1970s Southern California tract homes. Homes built in the 1980s and today are larger, stucco houses similar to those in Carmel Valley. There are views of undeveloped rolling hills along streets on the Western border and from the hillsides. A new section of Highway 56 was built recently, with a final leg to connect to the coast to be built in the future.